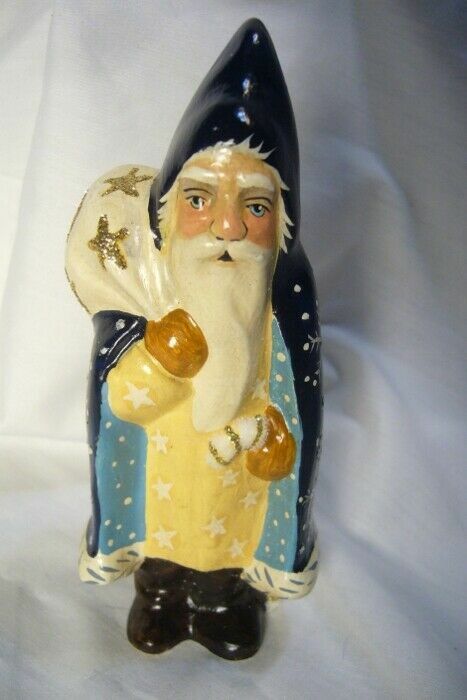 The 29th Starlight Santa, this hand-painted Chalkware collectible features the season?s first snowfall. Designed by Judi Vaillancourt, a portion of the proceeds of sales benefit a local Children organization. He measures 6 inches and has his own personal box.